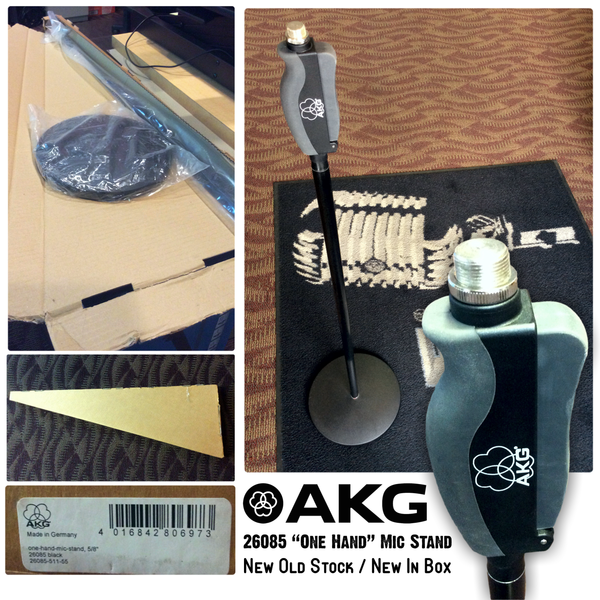 The AKG 25680 One-Hand Microphone Stand features a soft-touch, single hand clutch and an all metal construction with a round base. With the unique "Soft-Touch" one-hand clutch you can adjust the height of this microphone stand with just a quick squeeze and easily raise and lower your microphone. Sleek, flat, cast-iron base provides stability. Quality black powder coating is extremely durable. •	Height adjustable from 41.7" to 70.5"